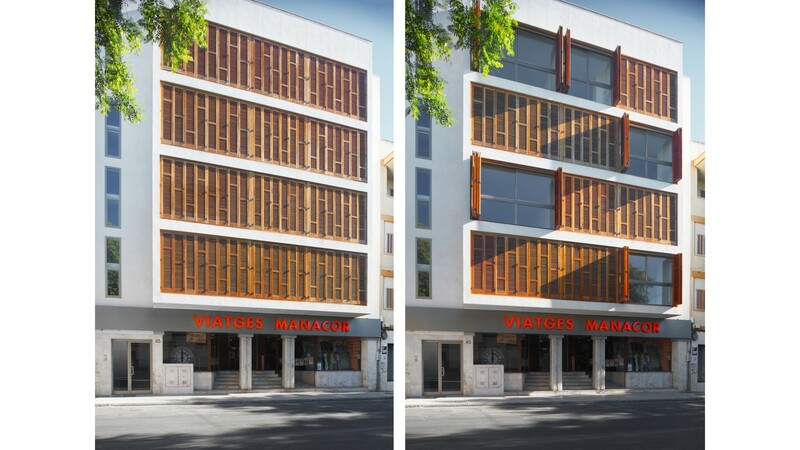 Extension of the building in Manacor to incorporate eight apartments and two offices by building up four floors above the existing commercial premises. 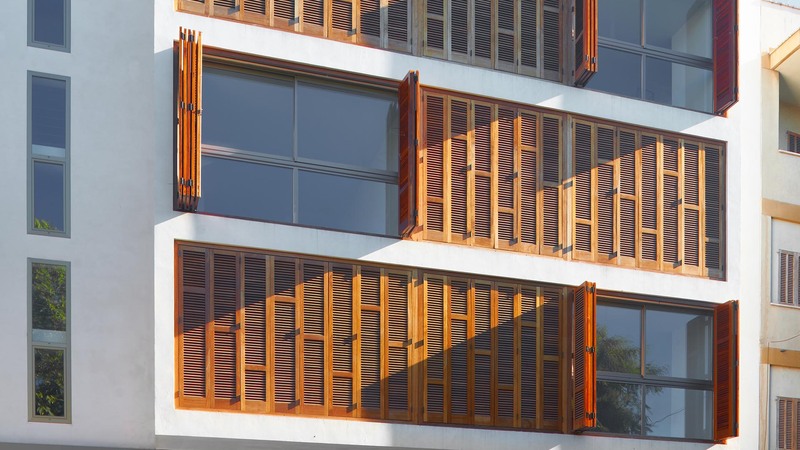 The flats, which are ventilated from the front and back of the building, look out onto the front facade in the search for natural light, good air flow and spaciousness. 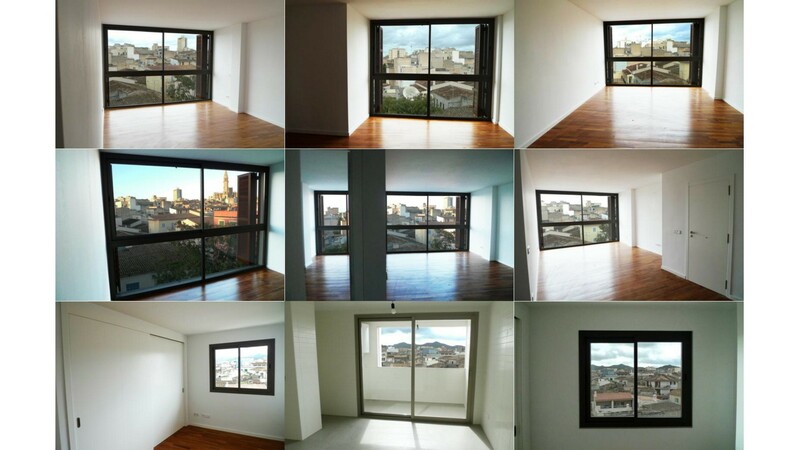 The interiors are white and neutral, so that each flat occupier can personalize her home, and oriented to the views of the town centre that the building enjoys. 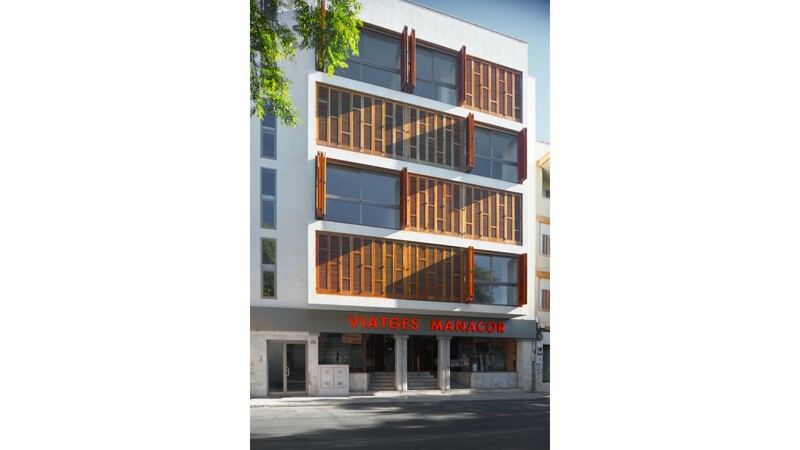 In order to introduce an element of warmth, wooden floors were installed. 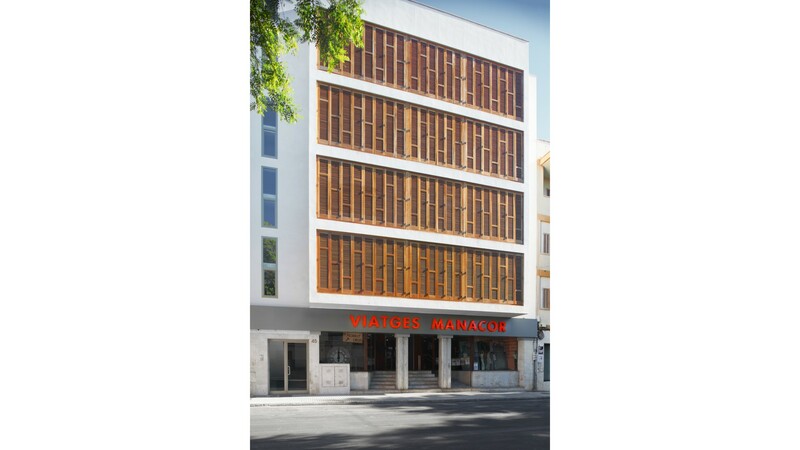 The facade is made up of glass and is protected by the typical Mallorcan shutters, which can be folded totally back one by one so that the front of each flat can be fully opened up the exterior or closed to filter the light. 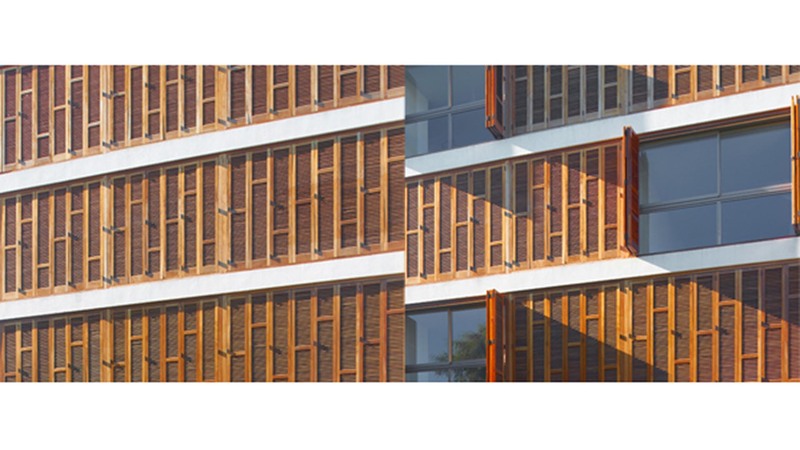 In this way, the exterior view of the building varies in a play of scales on the austere but loaded with materiality and texture facade, generating coherence and unity to the project as a whole.